If you dream about seeing your words in print, you need to know who the major book publishers are. Having one of these companies sign you to a book deal means that you get the benefits of having professional editors working with you, as well as the advantage of a well-organized advertising campaign to promote your work. A few of the well-known publishing companies are listed below. The Company has an impressive roster of authors in its offerings. Readers who have enjoyed the works of Agatha Christie, H. G. Wells, C. S. Lewis, and J. R. R. Tolkien were reading products released by HarperCollins. Oxford University Press published its first book in 1478. The University was granted the right to publish the King James version of the Bible in the seventeenth century. In 1896, the company opened its first branch office in New York City. As of the summer of 2009, the New York office alone publishes almost 500 titles each year. This company is well known as a leading publisher of dictionaries and reference materials of various kinds. 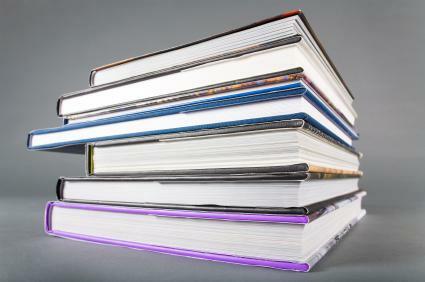 It also releases children's books, textbooks, journals, as well as academic and professional publications. This publishing house is also well known for its children's books. Favorites such as Nancy Drew, The Hardy Boys, and The Little Engine That Could are all offered to the public by Penguin Books. Before you contact a publisher about your own work, you will want to do some research to make sure that the company you are interested in handles the kind of book that you have written. You will also need to discover whether it accepts submissions directly from authors or if the company only deals with agents. Getting familiar with a publishing house before making contact will help to increase the odds of being able to work with the company to get a book deal.